The Amazing Spider-Man #12 by Mark Bagley. The Avengers #13 by Mike McKone. 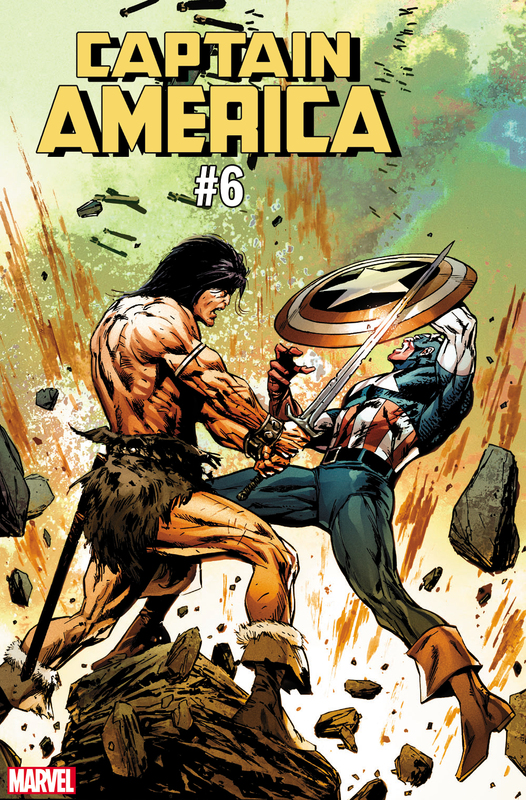 Captain America #6 by Butch Guice. Fantastic Four #5 by Gerald Parel. 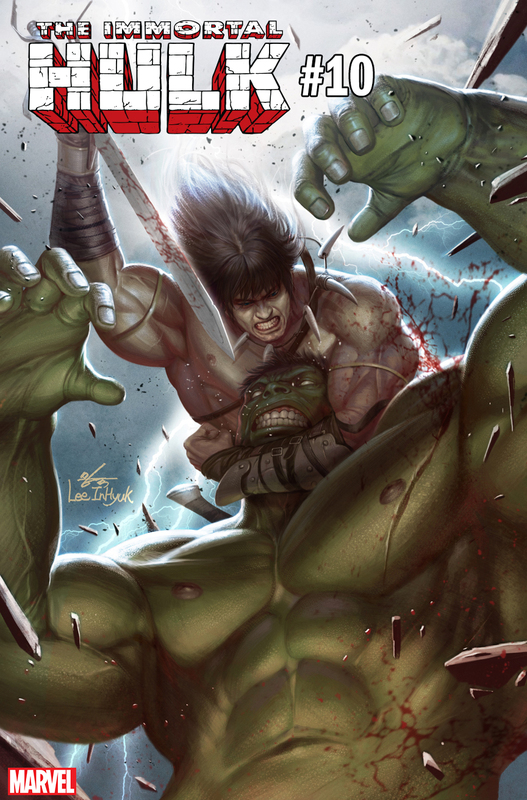 The Immortal Hulk #10 by Inhyuk Lee. Spider-Gwen: Ghost Spider #4 by Goran Parlov. Thor #9 by Greg Smallwood. 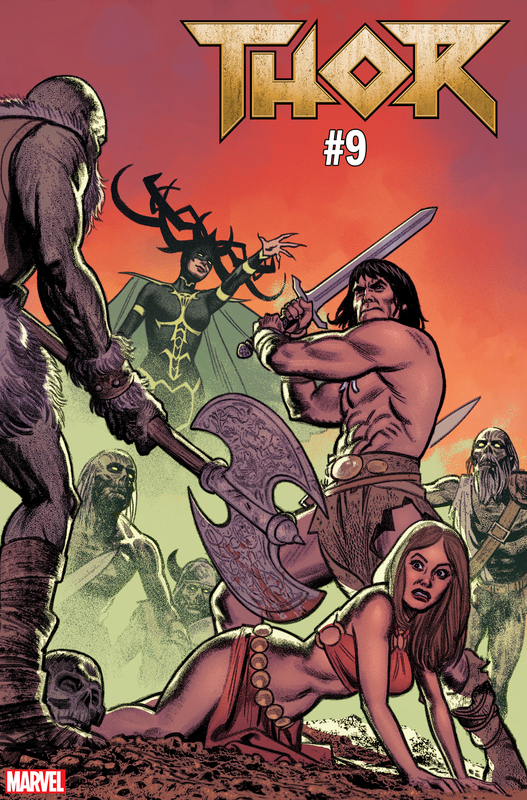 Conan returns to tread Marvel’s halls beneath his sandaled feet this January, when Jason Aaron, Mahmud Asrar, and Esad Ribic bring forth the all-new Conan the Barbarian #1! In honor of the Cimmerian’s homecoming, twenty variant covers will be released between late 2018 and early 2019. 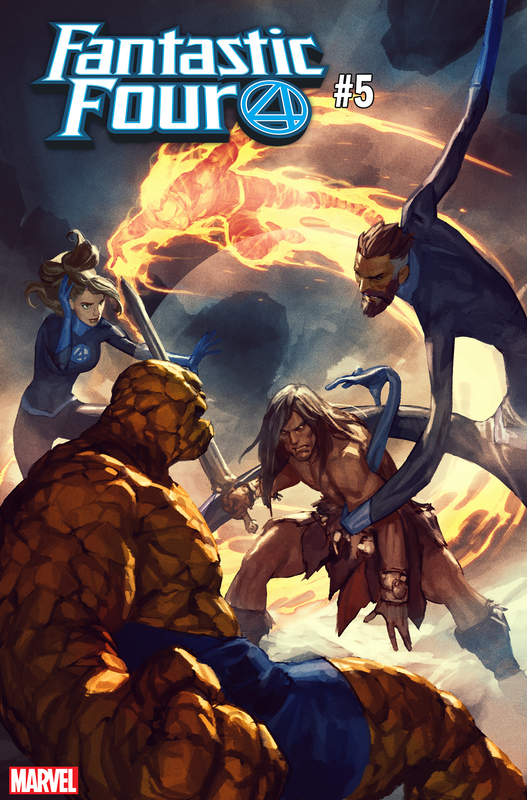 December offerings, such as Gerald Parel’s Fantastic Four #5 (pictured), depict Conan confronting major heroes from the Marvel Universe. 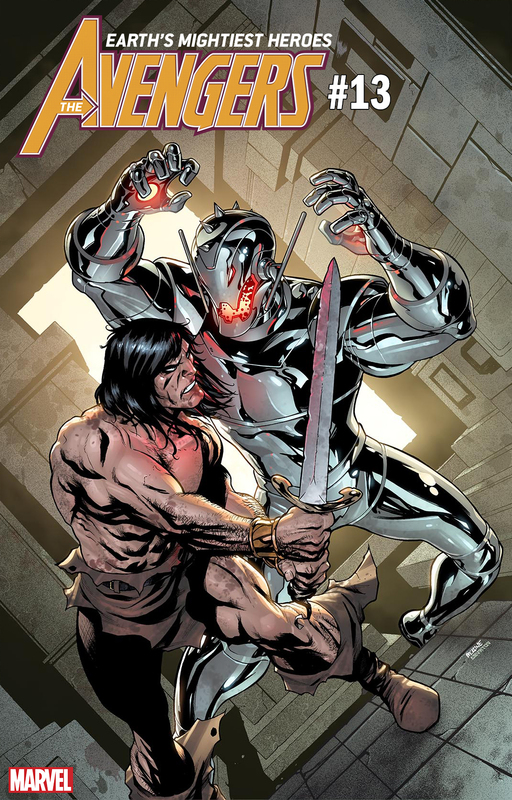 Then ring in the new year with a slate of January variants, which feature the barbarian warrior introducing ten of Marvel’s most diabolical foes to the flat of his sword. The villains get theirs in such covers as Mike McKone’s The Avengers #13 and Goran Parlov’s Spider-Gwen: Ghost Spider #4. And the best part? You don’t have to wait for the winter wonderland arrivals of CONAN VERSUS MARVEL HEROES and CONAN VERSUS MARVEL VILLAINS like a kid tracking Santa via NORAD. The generous geniuses at Marvel have provided gift samples in the form of a preview gallery, as well as a full roster of covers and their respective artists! From Marvel: This January, Jason Aaron, Mahmud Asrar, and Esad Ribic will bring Conan back to Marvel in the all-new series CONAN THE BARBARIAN #1! 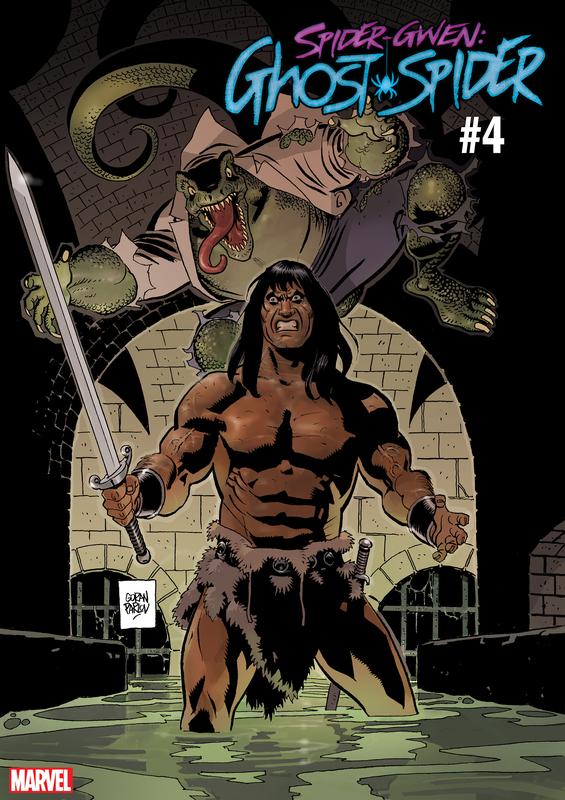 And to celebrate Conan’s triumphant return, Marvel is releasing a series of variant covers showcasing the sword-slashing hero with a series of variant covers showcasing Conan facing off against some of Marvel’s most important heroes – and villains! 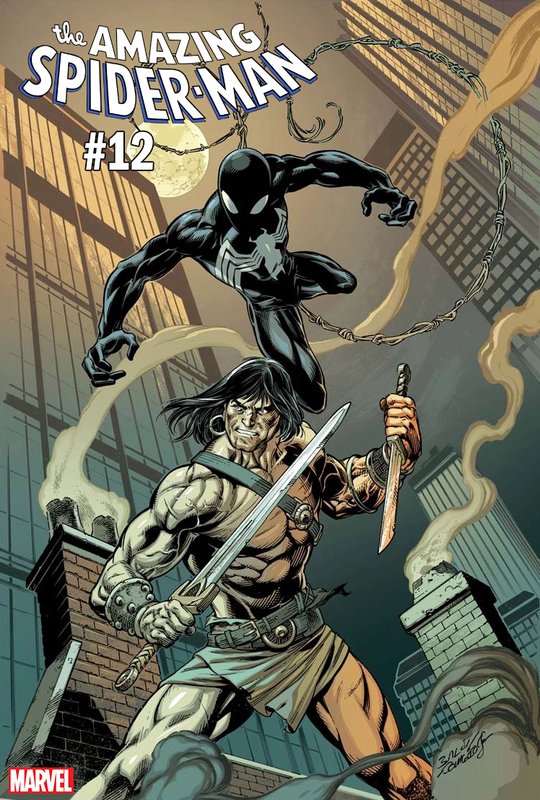 Don’t miss your chance to collect all 20 variants starting this December, as Marvel prepares to welcome Conan The Barbarian home!